I picked up a bunch of airsoft gear from a mate. In amongst it was a few sights. Clone vortex, clone elcan,tasco rifle scope and an acog. 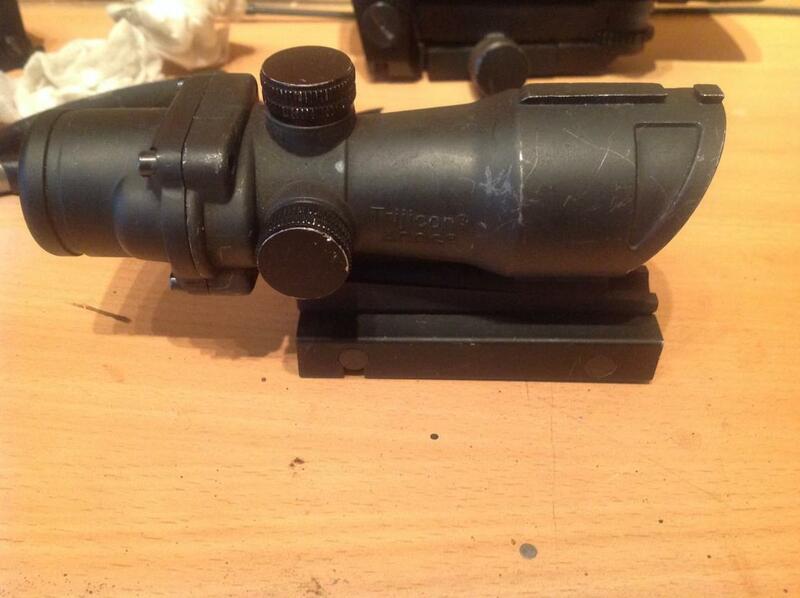 The acog has some skirmish wear, is missing a adjuster cover , but is otherwise absolutely perfect. Sight picture is nice and clear with no scratches. It's a fairly weighty sight and full metal construction. But I can't find any obvious indication of the manufacturer. 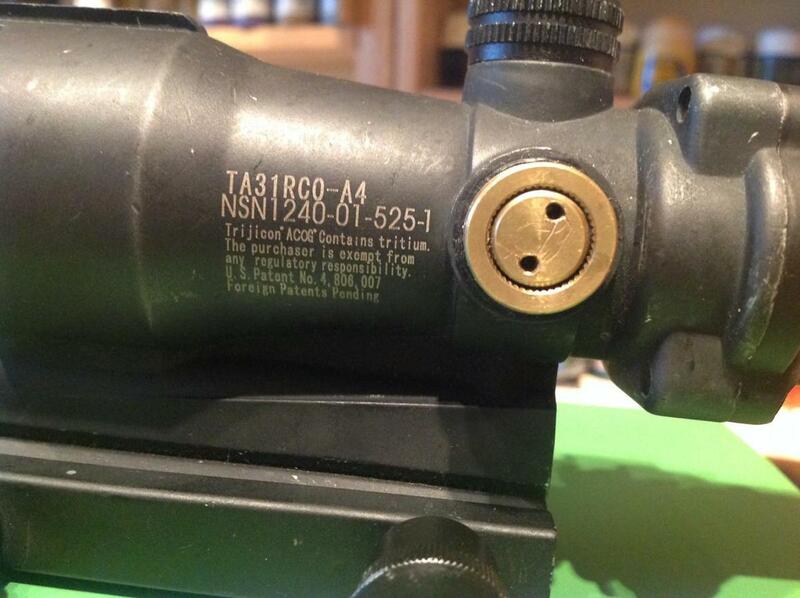 There are full trades on the sight, including trijicon acog with the 'registered trademark R' moulded into the metal on one side of the sight. Just wondered who the maker may be or if it was even possibly a real steel sight. Also any idea of a rough value as apart from my l86 I don't really have any rifle I want to use it with and may sell it...unless I can find the hens tooth of an acog riser. Any ways enough waffle here's some pics. The real thing has tritium sights, so you should be able to get an amber glow at night without a battery in. If it doesnt, it's fake. 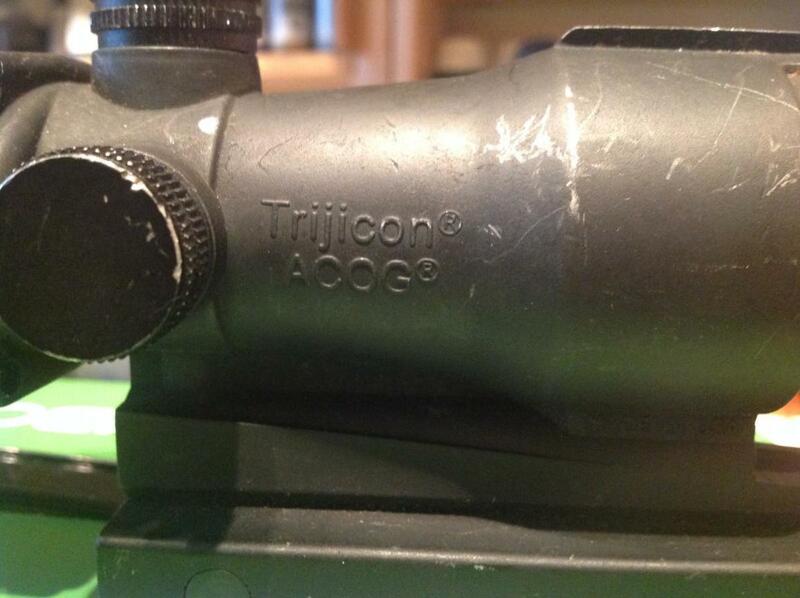 Trijicon is a manufacturer of optics. What you have is probably a clone and as for value its hard to say as there are lots of clones of various quality and price. Cheers folks had wondered. Will see what happens when it gets dark lol. Didn't expect it to be RS though. I'm in the sa80 owners group which I would hope to be the best one along with a few others. Only seen 1 come up and the guy wanted £50 for the mount...ouch. Damn, £50!! 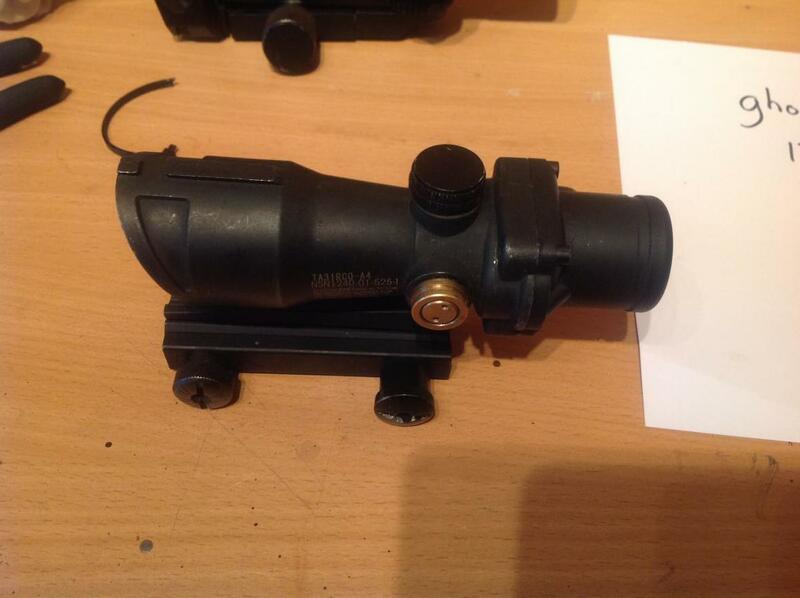 I sold mine to my friend with a cheap 1x red dot style ACOG for £15...I wish I'd held onto it now lol. 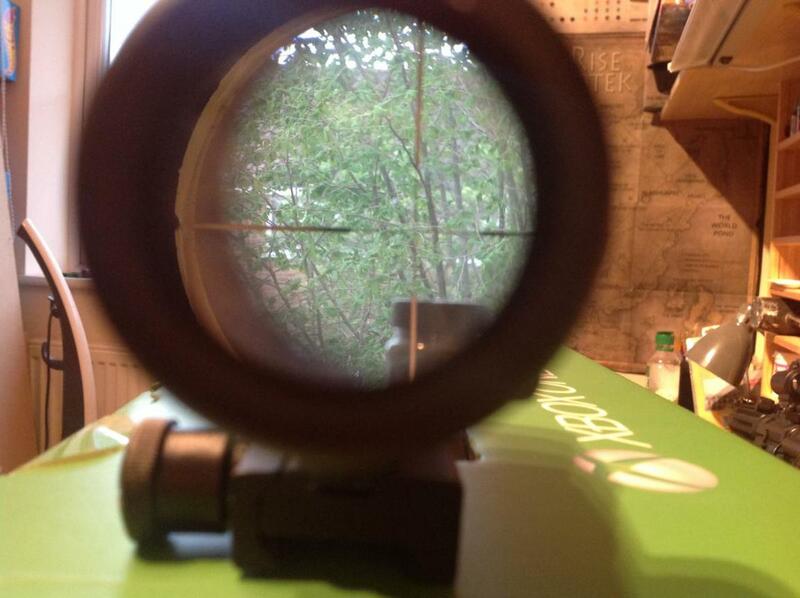 It's not a real one, reticle is wrong.